The months of speculation finally came to an end on Wednesday evening when Enda Kenny announced his decision to step down as leader of Fine Gael — the party he has led for just short of 15 years. 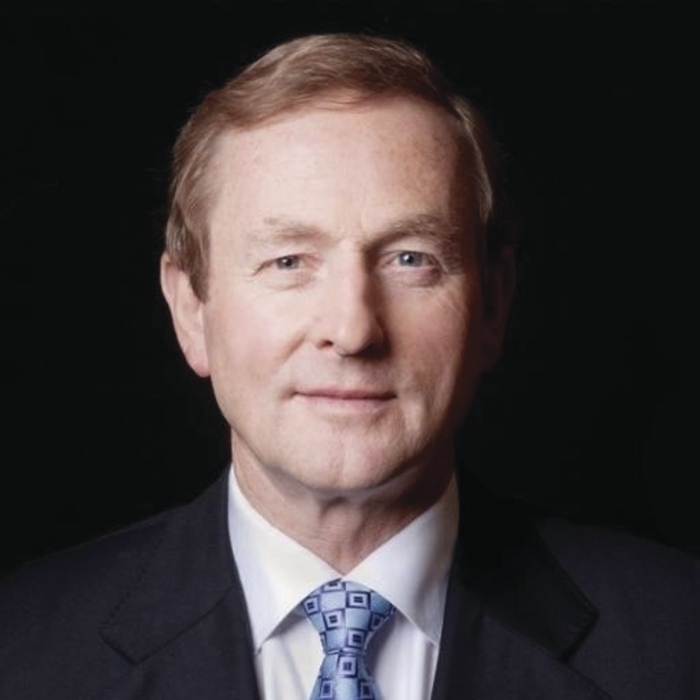 Mr Kenny will be stepping down as Taoiseach, once a new Fine Gael party leader is elected by the party and a new Taoiseach is elected by the Dáil. Since the results of the 2016 General Election it was a matter of when, rather than if, his term as leader of the country would come to an end. After the many months of speculation as to when he would announce his departure, it came at a meeting of the Fine Gael parlimentary party that lasted just seven minutes. At the meeting he said: "Last year I indicated that I would not lead the Fine Gael Party into the next General Election. I have decided to implement that decision today. Therefore I will retire as Leader of Fine Gael effective from midnight tonight. "I want to assure people that throughout this internal process, I will continue to carry out my duties and responsibilities as Taoiseach in full," Mr Kenny added. "I intend to provide a brief but appropriate period for my successor to engage with groups and members supportive of Government, and with other parties in the Dáil regarding provision of Government for the future." While national politics will be consumed with the question of who will replace him in the highest position in the country, on a local level, for the Fine Gael party faithful in Mayo, the attention will be even more firmly focused on who will replace him as a candidate in the next general election (assuming, of course, he does not decide to run again ) for the party in the county town. In his parting statement he said: "I thank all my loyal constituents and supporters in Mayo for their unstinting loyalty since 1975, and for their support for my family previously in providing unbroken service to the county in Dáil Éireann since 1954." It could be construed like he is laying the groundwork for a third generation of Kenny to run for national office for Fine Gael, with his daughter Aoibhinn potentially in the frame to follow her father, and her grandfather, Henry Kenny, into the family business. Others who may be interested in running for the Dáil if a spot opens up for the party could include Castlebar based Senator Paddy Burke, who has been serving in the upper house since 1993 after being elected on the Agricultural Panel. Mr Kenny was first elected to the Dáil in 1975, succeeding his late father. He has retained his seat in the 12 elections since then in Mayo West and later the Mayo constituency. Before becoming Taoiseach he was minister of state for youth affairs under Garret Fitzgearld in the 1980s, and then minister for tourisim and trade under then-taoiseach John Bruton as part of the mid-nineties rainbow government of Fine Gael, Labour, and Democratic Left. He first contest for the position as leader of Fine Gael in 2001, but lost out to Michael Noonan. However after a hammering in the general election the following year, Noonan stepped aside and Kenny once again ran for party leader, this time winning the race. He led his party into the 2007 General Election, where they gained an additional 20 seats on the 2002 results. That followed better than expected results in the 2004 local and European elections. His biggest electoral success, of course, came in the 2011 General Election where, at 59, he was elected as Taoiseach after his party along with the Labour party secured a massive majority, forming a coalition government with Fine Gael winning 76 seats, an increase of 45 from the number they held when Kenny took over as leader of the party. The 2016 General Election saw Fine Gael suffer a big drop in support, winning only 50 seats, but Mr Kenny remained on as Taoiseach of a minority government thanks to the support of independents and a supply and confidence motion with Fianna Fáil.